The bestselling author of Schindler’s List and The Daughters of Mars returns with an “insightful and nimble...consistently fresh and engaging” (The New York Times Book Review) novel about the remarkable friendship between a quick-witted young woman and one of history’s most intriguing figures, Napoleon Bonaparte, during the final years of his life in exile on St. Helena. In October 1815, after his defeat at the Battle of Waterloo, Napoleon Bonaparte was sent to live the remainder of his life in exile on the remote Southern Atlantic island of St. Helena. There, on what he called “the cursed rock,” with no chance of escape, he found an unexpected ally: a spirited British teenager named Betsy Balcombe who lived on the island with her family. While Napoleon waited for his own accommodations to be made livable, the Balcombe family played host to the infamous exile, a decision that would have far-reaching consequences for them all. I had just met my husband-to-be when we had word from the Exmouth newspapers and from the harsh cries of coachmen that Our Great Friend had died on the island. This was of course impossible to believe, but we believed in it sufficiently to wail communally and privately. We saw all too sharply in our minds the rooms of Longwood, and that squat, exiled figure peering out of his windows towards the Barn, or Deadwood, or Diana’s Peak, in a manner that foretold a bewildered death. Old family wounds gaped anew, and ghosts of varying colorations were released. Eventually, something like the true circumstances of that death came to us from the mouth of an old friend, the Irish surgeon Barry O’Meara. Even though the great loss had occurred, it was temporarily an invigorating thing for our Balcombe family to see O’Meara, up from London, flaws and all, and to look to him to interpret the event and help us drink the chalice of bereavement. When we sat by a fire on a rainy day in June at the Swan’s Nest, my father and the Irishman smoking pipes, and a bowl of punch before them, a couple of cups of which my mother was persuaded to take, we glowed with a familial anticipation that despite the circumstances felt like glee. 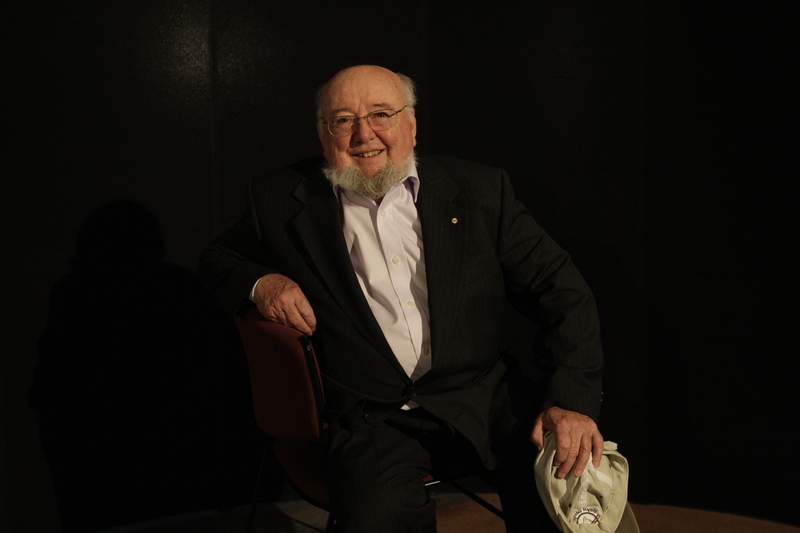 To us, O’Meara had always been a sprite, so we felt strangely eased by the truth that he shared our onus of mourning. He had arrived in our town the day before and sent us a note inviting us to the Swan’s Nest. When my father received it, he went sallow with rage. On the island he used to get rubicund with ­irritation, but in England he turned less healthy colors. In the ­letter O’Meara raised the question of his naval agent, Mr. William Holmes, a man my father suspected of dishonor. Given the risks my father had taken in order secretly to ship off money drafts drawn by Our Great Friend, the idea that some had stuck to Holmes’s hands on the way to Laffitte’s bank in Paris was something odious. None, however, seemed to have stuck to O’Meara’s, and O’Meara defended his friend in any case, saying that Holmes was about to go to Paris to introduce himself to Laffitte and allay suspicions the bank harbored about the origin of the money bills. My father was not utterly convinced, yet in the flatness and desolation of our lives, we were still pleased to see the face of a fellow conspirator from the island, a face rendered grayer, and his gray suit, familiar from the island, older. By then it was three weeks since the news of OGF’s death had come to us by way of the papers, and we were hungry for salient detail, to serve as palpable shelves on which we would stack our grief. Like soldiers of the Grande Armée, who had reportedly, on hearing the news, limped forth into town squares in France, looking about in shock, unable to accommodate themselves to the obliteration from the earth of that Force, we too were shocked. The newspaper accounts, even the well-meaning, progressive scribes, did not always avoid false premises concerning the Emperor and his exile, and were unable to recount credibly what had happened at Longwood House weeks before, since none of them had ever seen the island. We were consoled by the ­honest accounts of the Morning Chronicle when it arrived in Exminster from London. The Chronicle had the advantage of sources amongst those not rancorous to the Emperor, his admirers and in some cases old friends. But we were appalled by other at best grudging reports, such as that in The Times, which purported to recount the death of a man we could not recognize from the text. All this had deepened our ­familial depression, of course. We had been suffering for allegiances and services of various kinds to the living Emperor, and now he was gone, our suffering lacked meaning. Most of the time we crept about each other, being terribly kind, even me, the sort of kindness that confessed vacancy at our hearts, and a sense of the meaninglessness before us. And then there came the letter from O’Meara promising to settle with my father the question of Holmes—and that he could give us the truth of OGF’s expiring. With these offers O’Meara raised hope that he might return to us our meaning. He told us he had heard from surgeons still on the island the circumstances of the Emperor’s death. Jane, my sister, and I were restricted to tea, and my brothers to cherry sodas. I suspected all at once, unlike our parents, who had been cosseted by the punch, that O’Meara might alter things for us; that the Fiend and the island might now become the one dream, and that all the questions arising from that time might be swallowed in the ocean of OGF’s demise. But it could not happen until the matter and process of death was detailed for us. “You mentioned the Corsican doctor,” my mother reminded him. Both men chuckled acridly while my mother frowned and let a shiver move through her. My mother made a sound of incredulity and O’Meara went on. Already now I saw my sister beside me beginning to tremble. Her father’s daughter, she was overborne by the idea of the ruthless pain to whose ambush humanity was subject, and the onset of her own congestive ailments, signs of which had become visible in the past year, sharpened that. She was more at ease with death than she could ever manage to be with pain. She had become more given to tears, though she had never considered them an enemy or a self-betrayal, even in the years we were on the island. I heard the pace of her wheeze increase now, and I saw her habitual pressing of a handkerchief to her lips. I put my arm around her and enclosed her shoulders. They were almost as thin as they had been six years earlier, when OGF first descended on our garden on the island. Her undeserved affliction was settling in, and the Fiend and great men in England were guilty in part for that too, through the imperfectly sealed cottage we occupied by their implied desire. “A lavement?” asked my mother softly. It seemed a kindly word. Jane let her most honest tears loose then—not that she had any other kind. “But I fear it becomes more distressing yet,” O’Meara warned my mother. “Even so . . . ,” said Jane, my sister. O’Meara drained his punch and my father poured him another ladleful to fortify him against our distress. Then he recommenced. “How could that not have alerted Dr. Arnott and the Corsican?” my mother protested. Jane still nursed her tears. We were all pale. Even my little brothers listened soundlessly to O’Meara, to whom they had never in all our time knowing him extended that compliment before. We could see that O’Meara was nearing an end to his narration. Jane’s unpretentious and authoritative tears increased. My mother’s face held a blue pallor, and my father glowed with a revived unhealthy ruddiness made up of bewildered and conflicting thought and brandy. “So, OGF was persuaded to move to a new bed in the drawing room since that was more airy. He would let only de Montholon and Marchand the valet help him—a good man altogether, that Marchand. He permitted them to swathe his legs with hot towels. Yet O’Meara, with a sure instinct, was out to make us share in every detail, as relayed by friends on the island and by the French suite. So we heard how the surgeons decided next to give OGF calomel, mercury chloride, in a desire to make the poor man vomit more black grounds, as if these too were part of a mental attitude that must be corrected. But they had overdosed him with ten grains of the stuff, which he could barely swallow and which, when he did, caused him to vomit up both the black matter and blood. After that, he refused to see the corps of attendant doctors. He began to think O’Meara was still on the island, and kept calling for him. My parents lowered their eyes. They did not take equal joy in the Emperor’s confused remembrance. O’Meara recognized it—he had said something that meant more to the Balcombe parents, and indeed their children, than he could tell. The green silk curtains, which we remembered from his time in the Pavilion, were now drawn. A few seconds before the time of the evening gun from Ladder Hill, said O’Meara, OGF expired. Fanny Bertrand was in the room, half-Irish, half-imperial Fanny, a woman fit for cere­moniousness, and she remembered, as he breathed out and the breath was not succeeded, to stop the clock in his room, the one he’d always shown off to us, the alarm clock. It read eleven minutes before six. By the time O’Meara reached this stage, we women were choking and my father’s head was still down, and the boys, William, Tom, Alex, were pale, old enough now to be awed out of boyishness. I thought how noble a man my father, Billy Balcombe—Cinq Bouteilles, as OGF called him—was. He blamed the Emperor for nothing, for no portion of the blight on our own lives. The tale was briskly finished. O’Meara seemed to know he must get to an end if he did not wish to provoke some unpredictable contrary feeling amidst my parents—for all he knew, a frantic quarrel was possible. Marchand and the other valets had carried the body from the death bed to a new camp bed. The priest laid a crucifix on the breast of the corpse and left the room. Outside he recited the ­rosary. Name and Nature turned up at the door of Longwood but was denied entry by Bertrand, who told him the autopsy must proceed. This dissection took place in a room we acutely ­remembered—where the billiard table had once been, and the maps on which I’d stuck pins to represent the movement of hordes of men around the countryside near Jena and Auerstädt. Afterwards, Surgeon Short, one of the group, writing that the Emperor’s liver was grossly swollen, came under great pressure from Sir Hudson, Name and Nature, to alter his report. The Fiend thought he might somehow be blamed for that distended organ. Short refused and left the report in Sir Hudson’s hands, and according to Short, Name and Nature himself changed the words, crossing out Short’s verdict. Fortunately, Short had the final chance to write on the document that the words obliterated had been suppressed by the Fiend’s orders. Meanwhile, the autopsy over, the dead man was moved back to his bedroom, which had been set out in the manner of a mortuary chapel and draped in black. The next morning Name and Nature came in with a posse of fifteen officials, including Sir Tom Reade, and declared the corpse was “the General,” as he still called him even in death, and asked both his party individually and General Bertrand to confirm it. Reade was not fully happy, for there was no ­achievable happiness in such a man. He appeared in part to believe that his enemy, OGF, had taken the game to the extreme now. In a bid for world sympathy, he had died. The soldiers, the ­sailors, and the ­farmers, the Letts, the Robinsons, old Polly Mason, the ­Reverend Mr. Jones, keeper of the sheep and goats, the ­Porteouses, the Solomons, the Ibbetsons, the Knipes, the Dovetons, and all the rest were let in to see the chin-strapped corpse dressed in ­military style, lying on the old blue cloak from the great victory of his youth, Marengo, and dressed by Marchand and the others in the green coat of a colonel of the chasseurs of the Imperial Guard, with white ­facings, the sash, the Légion d’honneur, the cavalry boots, and with the ­bicorn hat across his lower stomach. General Bertrand and Count de ­Montholon stood by him, in their uniforms, and in a gown of mourning, inimitable Fanny, the best-dressed woman even in ­bereavement that the island had ever seen, and the most faithful. I imagined the yamstocks—the island-born—processing through those rooms that were known to us, gawping at the maps on the wall, the books, the peepholes in the shutters he used for watching the garrison and to see me win the ladies’ race at Deadwood from which all the glory had long since been sucked. They must have known, those islanders, that their world was about to shrink. The garrison would go, the squadron would sail away, and all items would plummet in cost. A death mask had had to be made, and quickly. The first was not successful, so Novarrez, doorkeeper of Longwood, shaved him for a second mask undertaken with pulverized gypsum. But the processes of death were under way, and by that afternoon the body had to be placed promptly in a coffin. Hearing this, we groaned and cast our eyes about. This was more of mortality than we could bear. “Enough, enough,” said O’Meara, as if to himself. “As we must,” growled my father. And we did see. That representative of darkness, in eating heart and ear, passion and the senses, provided gruesome echoes of the cramping of ambitions of self-redemption on the Emperor’s part by a paltry and choleric Englishman. O’Meara spoke as if he were not himself one of the chief attackers. He helped himself to more punch. “Keneally is one of the finest living English-language writers…and creates an intricate, intense world driven by power plays, culture clashes, secrets and deceptions." "Keneally’s book gives readers a persuasive account of [a] precocious teenager’s view of the world’s most infamous man. He makes Betsy an engaging and witty presence, and he charts her destiny into her post–St. Helena existence, where the short general’s long shadow continues to affect her life. 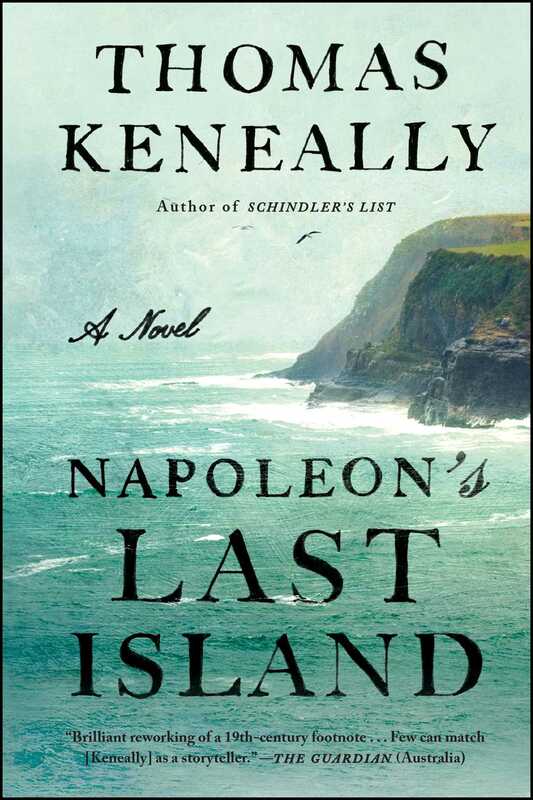 Like the late E.L. Doctorow, Keneally adapts his style to suit his subject matter, and here the high formality of 19th-century journal-keeping helps bring alive the bittersweet last days of Napoleon." "Keneally is especially good at rendering the small psychological adjustments made between people embarking on intimacy." "Once again, Keneally reaches back to the WWII era to stunningly dramatic effect...explores multiple and multifaceted themes of courage, loyalty, empathy, and cultural dissonance."